From one girl boss to another meet Tommi Miers, writer, TV presenter and co-founder of Wahaca – the biggest and most popular Mexican restaurant in the UK right now. If you’ve walked through the streets of London recently, chances are you will have come across at least one Wahaca; such is our desire for delicious, fast and affordable food that there are now 15 branches across the capital. For anyone that doesn’t already know, Tommi was catapulted into the spotlight when she was crowned Masterchef champion in 2005; since then (alongside opening over 24 Wahaca restaurants) she’s written seven cookbooks and become a mother three times over – PHEW! Since winning Masterchef in 2005, you’ve opened over 24 Wahaca restaurants and written several cookbooks – what was your initial motivation to apply for the show? I was broke and directionless! I had just come back from living in Mexico for a year where I opened a large cocktail bar and travelled the country exploring the foodier regions. I had also spent two years putting together a book called Soup Kitchen, raising money for homeless charities like Centrepoint. I needed to find some focus – and then I stumbled on the advert in a food magazine by accident. With several books already under your belt, where do you find inspiration for new recipes? I am inspired by the changing seasons – I visit our local market almost every week and am constantly inspired by new ingredients coming into season, by the form, design and colour of fruit and vegetables. I am inspired by travel and what different countries do with their local ingredients and I am also incredibly inspired by other chefs, food writers and restaurants and what other people are creating around me. Who has been your biggest inspiration career-wise? Did you have a mentor? Clarissa Dickson Wright was the woman who got me cooking professionally – that was a huge inspiration – she and Prue Leith were both incredibly kind and generous when I was starting out. I am always talking to people though – this industry is a people industry and I think we all benefit from conversation and communication. What’s the biggest challenge you’ve faced since you first started in the industry? We are facing the biggest challenges right now with the impact of Brexit on the market and other externalities. Rising food prices and a smaller, more uncertain labour market has put huge pressure on restaurants and food businesses. The lack of affordable housing has made the cost of living in London punishing for many industries, not just ours and I think London is really going to suffer from a drain on talent because of this. The rise of rents and rates in London is putting so many traders out of business to – something that I find incredibly sad to see. What’s the most rewarding thing about being your own boss? Master of your own destiny!!!! From one girl boss to another, what advice would you give you other women wanting to start their own venture or ‘go it alone’? Fight for what you want, fight for what you believe. Don’t be done down by others. Make sure you are treated fairly. Most of all I cannot recommend enough finding a business partner to complement your own skill sets (which you need to recognize with objectivity and humility!). What is next for Tommi Miers?! We are just opening a new Test Kitchen in Shoreditch which is very exciting, a brilliant vehicle for road-testing new recipes and ingredients. I am also just starting to plan next year’s Fork to Fork festival in Kensal Rise, which is a fund-raiser for food educational projects. What do you enjoy doing to relax after a stressful day? Where is your favourite place to eat out and why? The River Café is somewhere I’ve been going for special occasions for many years now – it is a magical place. On top of that I am spoilt for choice – there are so many amazing restaurants in London where I live – a current favourite is Pidgin, in Dalston where the food is incredibly creative and fun. If we came over for dinner, what would you serve us? If you could invite anyone (dead or alive) for dinner, who would you chose and why? I would def have my grandparents back – they were so amazing and I didn’t get to spend enough time with them when they were alive. Are there any specific ingredients/foods you couldn’t live without? Extra virgin olive oil, salt and vinegar are my very favourite ingredients of all time. I am currently using my new Cult Vinegar crock to make my own red wine vinegar which is highly exciting…. 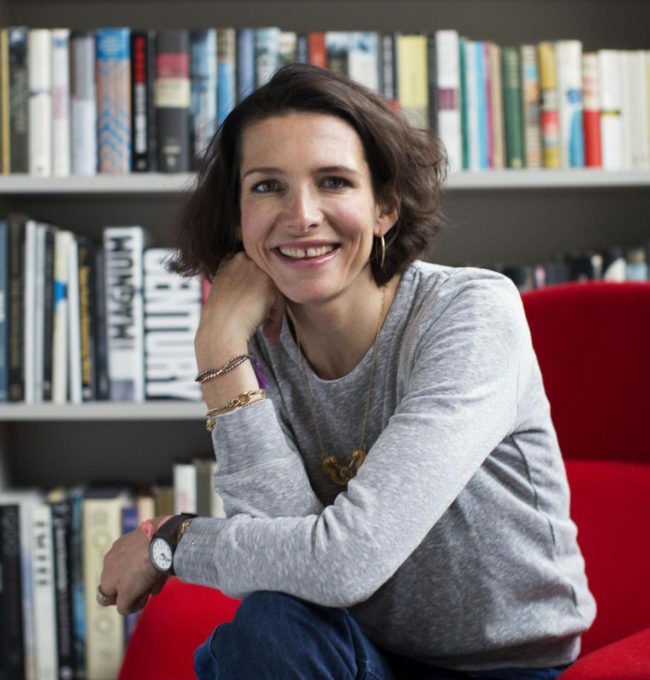 These images of Thomasina Miers were taken for Wahaca. They were commisioned by Oliver Ingham for Press and PR use world wide. Exclusive offers, events and promotions.